Recently a UK metal processing plant came to us needing a replacement Air Knife Drying System. Their existing system was extremely noisy and not energy efficient. We designed for them a new system using both standard and bespoke components and then fully managed the manufacture, mechanical installation and commissioning of this. The final system was based on four Paxton AT1200 15kw blowers in blower enclosures which uses half the energy of their previous system and creates considerably less noise. 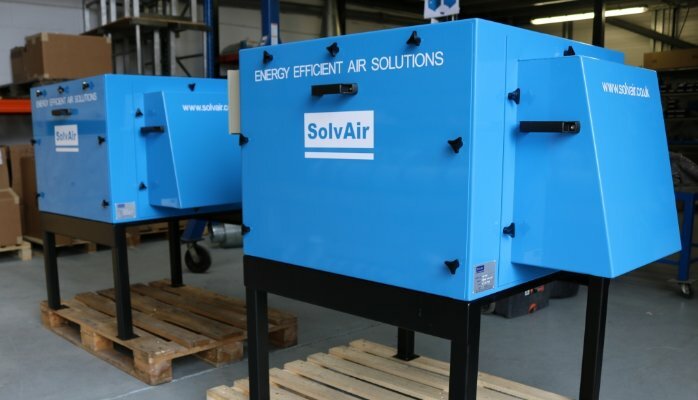 If you would like to discuss a quiet, energy saving but highly effective Air Knife Drying System for your business please contact SolvAir to discuss how we can meet your requirements!